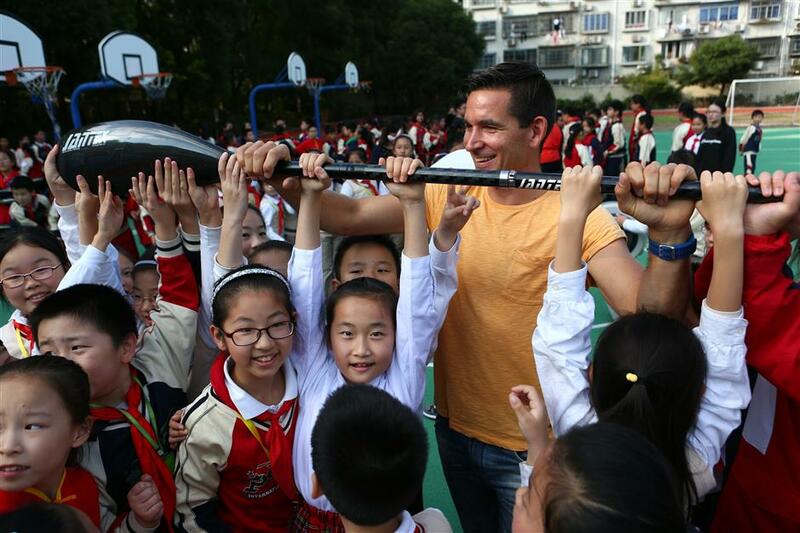 Expert canoeists take time out yesterday to teach Shanghai primary school students their skills. Students at Pengpuxincun No. 1 Primary School in Jing’an District enjoy their session with top canoeists yesterday. 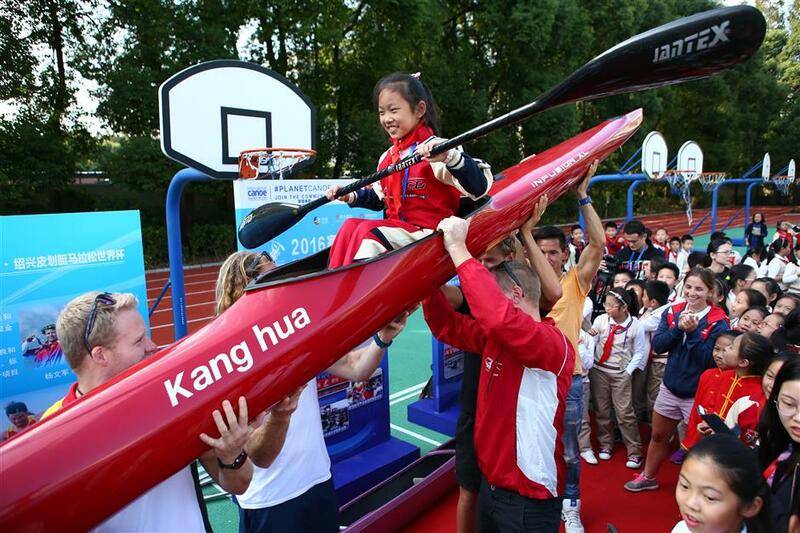 Top Dutch canoeist Joep van Bakel spared an afternoon out of his busy schedule yesterday to visit a school after competing in a race in Suzhou Creek. Van Bakel was among nearly 200 canoe athletes, from more than 10 countries such as the Netherlands and the United Kingdom, who are taking part in a world-class competition held on Suzhou Creek, from yesterday till tomorrow. Yesterday afternoon, eight of the athletes, including Van Bakel, visited Pengpuxincun No. 1 Primary School to teach students canoeing skills. Dutch athlete Joep van Bakel is a hit with students. It was not hard for Van Bakel, who ranked 8th in the 2012 Canoe Marathon World Championships, to enter the final for the 3.4-kilometer short-distance race here. But Suzhou Creek, the 34-year-old veteran said, is a real challenge for him. Emma Anderson, 30, from Sweden, agrees. “It’s such a narrow waterway, and there are many twists,” she said. 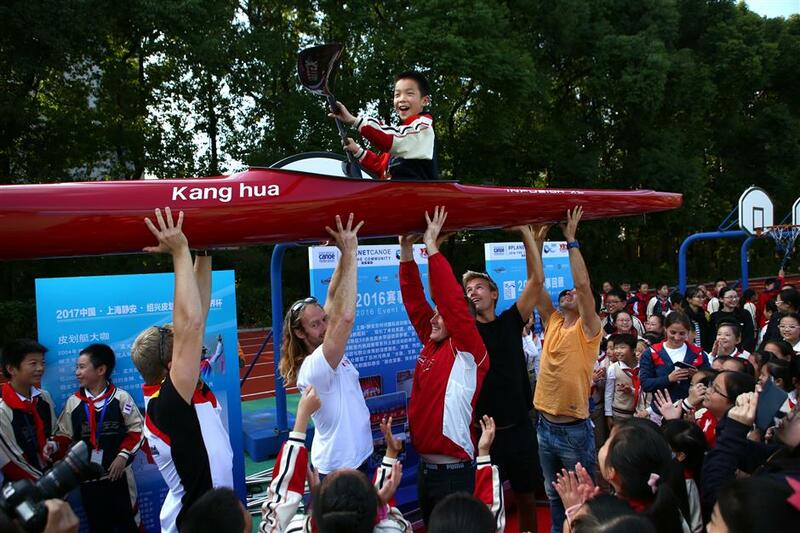 Canoe races have been held by Jing’an District since 2015. But this year, it is selected by the International Canoe Federation as a station for the Canoe Marathon World Cup, being classified as A-level competition. The preliminary round for the short-distance race was held yesterday morning, and the final will be held today. 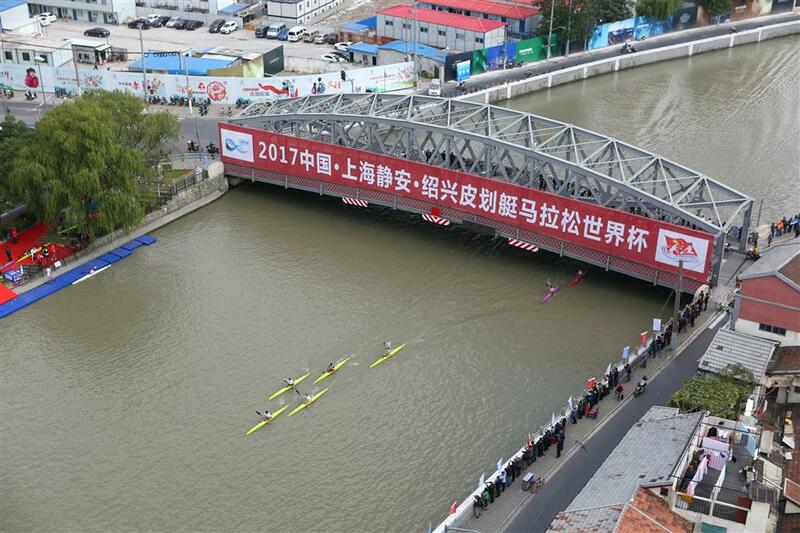 Tomorrow, the rowers will compete in a 26.9-kilometer-long race, running under eight bridges, from Xizang Road Bridge to Waibaidu Bridge. 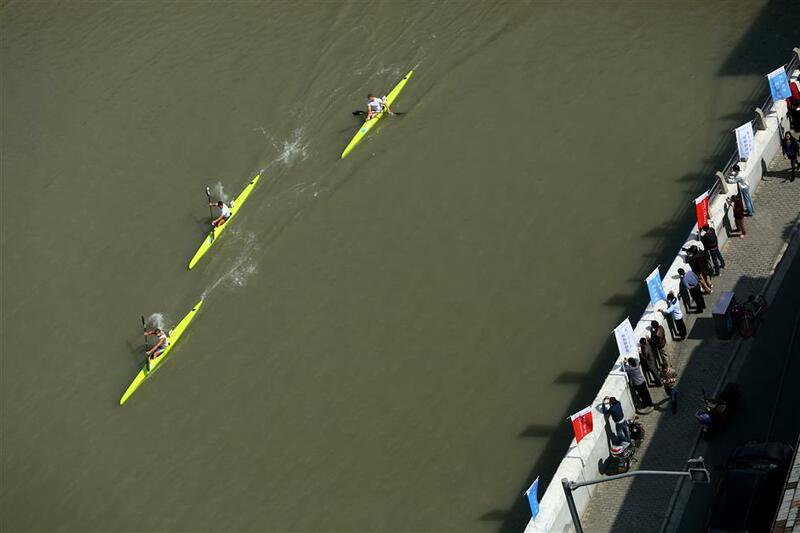 Canoeists compete in the 3.4-kilometer short-distance race on Suzhou Creek.